AllegroMedical.com presents The Foam Side Rail Bumper Pads by Drive Medical. 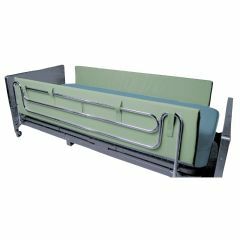 Side Rail bumper pads are an ideal choice for those at risk for entrapment or that have trouble staying In bed. The soft foam provides a comfortable barrier that provides security. Comes in 36", 48", and 72" lengths.